The hotel has started since 1919 as a restaurant and became a hotel. And, we provide a service that has a sense of being home with your family. This type of service has been true from the beginning. Hamana Lake and Mt. Ookusa can be seen from all guest rooms. You can feel the four seasons in Japan with landscape which changes every season. 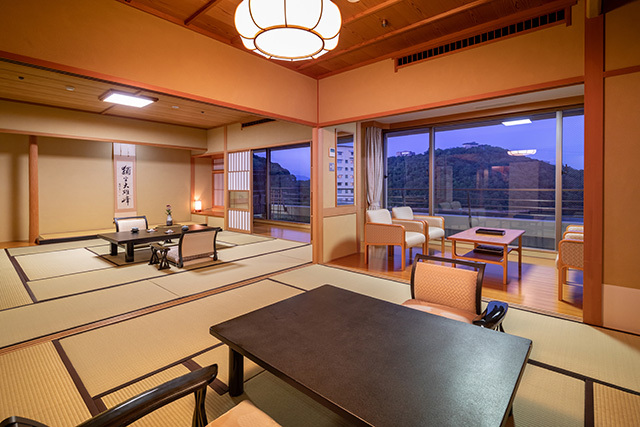 The room is in Tatami style and equipped with bath and toilet (bidet) . Hamana Lake spread out before your eyes is a brackish lake which is a mixture of lake water and seawater. There is an abundant supply of saltwater fish. There’s also the sea of Enshuu where you can find a Natural Tiger Puffer Fish known as a luxury fish. Others cuisine is Wagyu (Japanese beef) which is raised in designated farms in Shizuoka prefecture known as “Shizuoka Sodachi”. 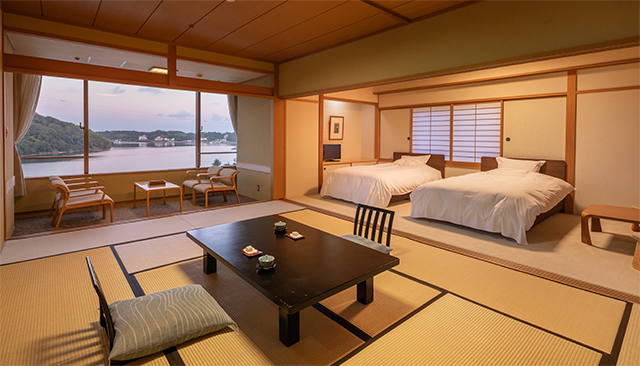 All our rooms are facing the Lake Hamana. 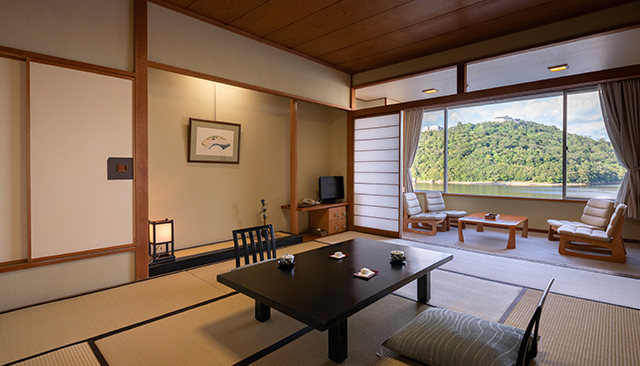 In front of rooms,a whole view of the Lake Hamana can be seen.Oppositeacross from rooms,natural scenery of Mt.Okusa changes along with seasons. Please recover from the fatigue of our journey with feeling the season. 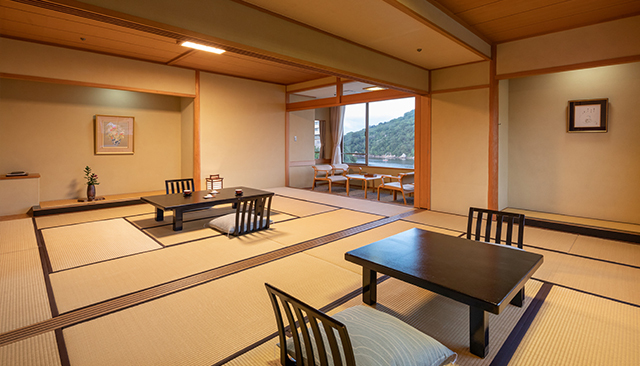 Sweetroom is Japanese style room with 10 tatami mats besides twin bed room. 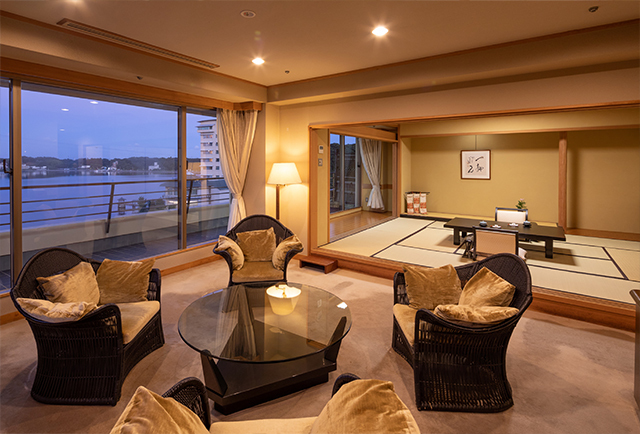 From the room on the top floor,the scenery of the Lake Hamana and Mt. Okusa before you can be enjoyed on your content. 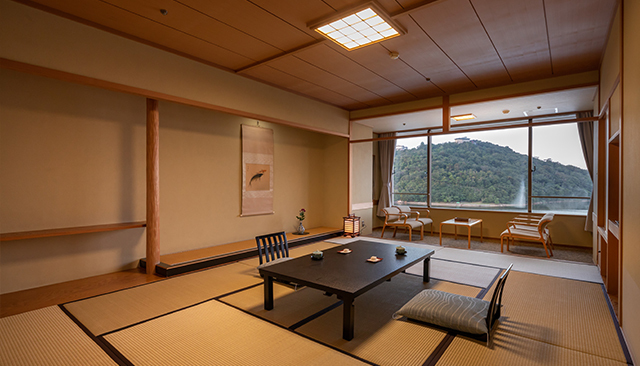 Japanese elegance,pure Japanese style Sweet room.It also has Japanese “Chasitsu”(the room for tasting traditional Japanese way of tea serving).Among foreigners want to enjoy Japanese atomosphere,this room is popular.This room has pure HINOKI (Japanese cypress)bathHaving enjoyment as cypress fragrance makes you calm. 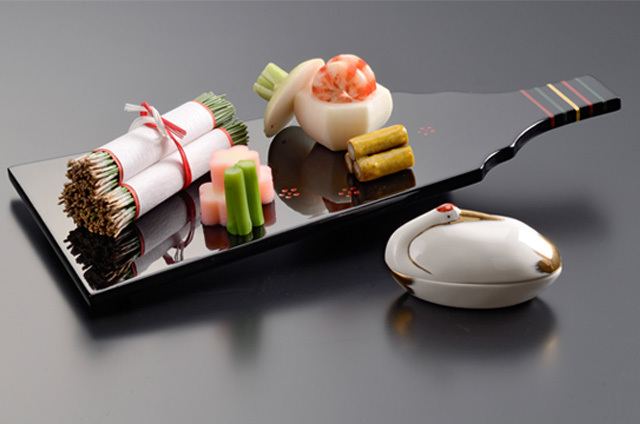 We serve both breakfast and dinner in the guestroom.Dinner is Japanese style（KAISEKI RYORI） wait at table, start cold dish ,gradually serving warmer dishes. Breakfast is both avirable Japanese or Western Style,please select your favorite. 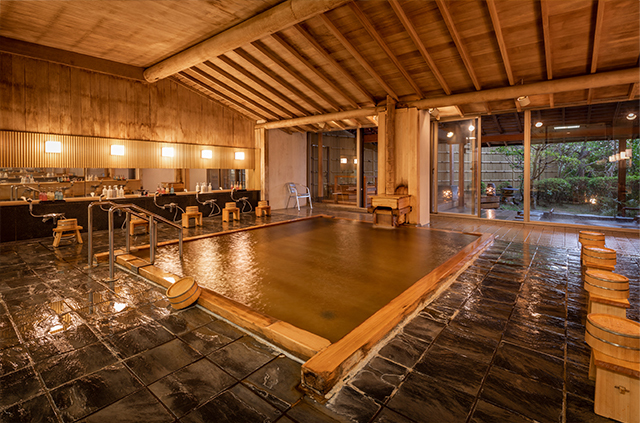 We have large public bath made of pure cypress. 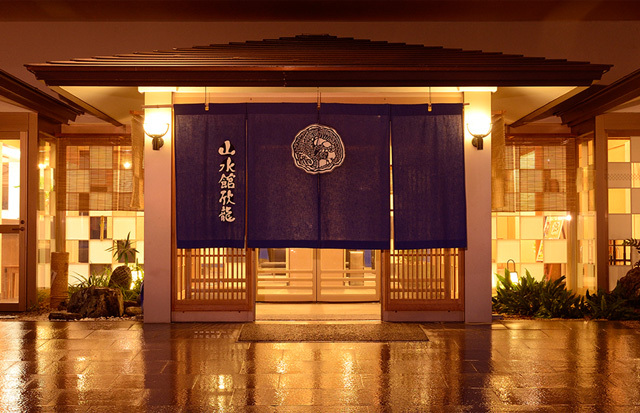 It is our pride and joy.“Tara no Yu” for men and “Kako no Yu”for ladies,both are pure cypress bathes. We also have “Family Bath”（required to book in advance）. Large Public bathes and Family bath, both face the Lake Hamana.Please enjoy different sceneries changing in the morining and evening. 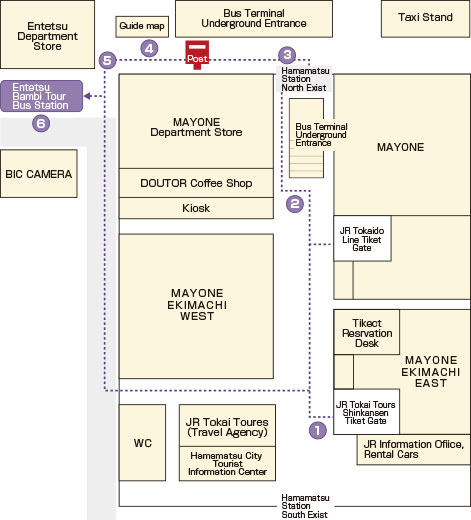 The free shattle bus is operated by Kanzanji-onsen hotel association. 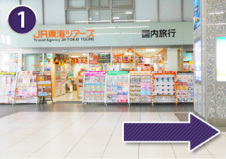 You can only use the bus if you are going to check-in or having lunch/dinner at SANSUIKAN-KINRYU. Reservation is required before you take the bus. Select the time you want to reserve, to and from the hotel, in the online reservation form. If you have already reservaed a room and want to reserve the shuttle bus, please call or e-mail the hotel you reserved. Please reserve before 2 days prior to your arrival. The shuttle bus will depart on time. The bus will not wait for you if you are not at the bus stop on departure time. 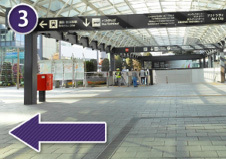 If you are to miss or missed bus, please contact the hotel you reserved for other transportations. Walk along the station passage to the north exit. 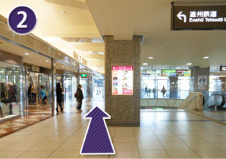 Please be careful not to go to the lower floor. Take the north exit and head to the left. 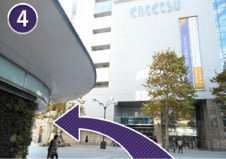 There is an "ENTETSU department store" in front. Walk towards the left side. 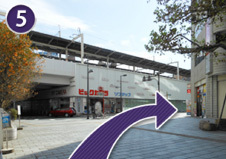 There is "BIC CAMERA" in front and there is bus stop along the building. 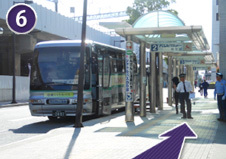 The bus stop number 2 is the riding position. The bus with green lines in the silver body is the KANZANJI shuttle bus. Copyright © 2015 Sansuikankinryu. All rights reserved.